Everything that happens has a reason to happen. Everything that you do is in line with your own life plan. And underneath everything that you do no matter how inconsequential it seems, no matter how trivial it is, has at its core your own firmly held presuppositions about life as you know it. Then, playing and losing game after game of solitaire is, in the larger scheme of things, part of your own life lesson. Like, how you feel after you have lost your 7,000th game compared to how you felt when you lost your 125th game. I went through all sorts of feelings as I continued to lose game after game while, according to the statistics someone thoughtfully and without malice placed gently on the internet, found myself firmly entrenched in that subset of players who play so far below average they don’t even bear mentioning. I went through a period of time when competitiveness was the thought foremost in my mind. I then slowly became interested in how much I was losing and how little I was winning to where, and I still do this now, when I won a game I would play the same game over and over to increase my percentage of games won. There came a day when I wasn’t all that interested in how often I won and I began to take an interest in the strategy of the game. I included in this all the times I would play a winning game over and over again to see how many different endings it could have and still be a winning game. And, finally, there came a day when I really didn’t care whether I won or lost the game. It was the game itself, it was my intense concentration, it was the speed I could think and respond to the cards dealt. I suppose as time goes on I will likely move through other emotions as I play that mighty game of Aces and Kings, and very likely continue to lose. But, lately I have been thinking about my card games as the things that people do with their lives. The cards they have been dealt and what they make of them. And, then, maybe that’s what you’re supposed to do. A time of panic as you try to go through a grieving process that your life as you knew it is over, to a time where you begin to embrace life again and learn to adjust and lean upon your remaining senses. I’m just getting old. I haven’t lost my senses, though I have ringing in my ears all the time, have experienced some loss of hearing and my eyesight is fading. I hurt most of the time. I can be a real crabby apple sometimes. When I was growing up people kept saying to me that I was weird. I never knew why they said that. It wasn’t just the same group of people either. I was an Army Brat and we moved around a lot. I went to 13 different schools in 12 years. So, these were people who had never met each other and they all said I was weird. There was one nice comment from Taylor, a very tall boy, older than me with Scandinavian blond hair. We went to high school at St. Maria Goretti in Hagerstown, Maryland. He and I were sitting behind the school in the smoking area one quiet afternoon back in 1970 or so. He said to me that I saw things most other people didn’t see. So, it wasn’t necessarily that I was flat out weird, but more a comment that was either truthful in nature or he was just trying to chat me up. Personally, I think he was making an observation because we never did go out together though he was a very polite and nice boy. If you figure that commercials and advertisements are always successful because constantly presenting an idea over and over again will eventually make that idea or product familiar to a person it just doesn’t hurt to say the same thing over and over again. I think most folks tend to stick with what they know. Younger folks tend to try new things. If you are a company and are concerned about who is going to buy your product one of the things you’re going to think about is who has money to spend on it. Then, your campaign is planned along those lines; you’re going to go after a specific age group with money to spend. So, you make a television commercial. 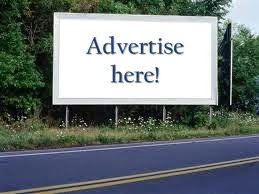 Or, you target all sorts of advertising in addition to television, like printed ads, bloggers you pay to write about your stuff and ads on the internet. The fifteenth time, they start to year for it because they can’t afford to buy it. I also base my experience on the emails and comments I get from my websites and blogs. The questions people ask are very often the same or variations; the same ones I asked before I began to channel. What is it like when a person dies? Can I ever talk to my Spirit Guide? What does Spirit sound like? Why doesn’t Spirit talk to me? I think an evil entity has attached itself to me. What do I do? How do you tell if a psychic is real or not? Is my loved one at peace? I keep having dreams of my loved one. Is there something they want me to do? When I pray does anybody actually listen to my prayers? There are more. I intend to address these and others in future blogs. While I'm walking to and from work I like to say the Hail Mary prayer. Sometimes it calms me down. A few days ago as I was walking to work I began to think my recitation of the prayer had moved toward a rote manner and I thought I wasn't really putting enough of the right effort into the prayer. In the world of channeling many times I take it for granted all the Folk in Spirit I talk to. In any case, Mary said to me, "Why don't we just talk and have a conversation?" That one really surprised me. I was a little shy. I usually am, but slowly warmed up to the idea of talking with her. We didn't say a whole lot that day. I just marveled that she'd offered to talk to me. It was the next morning as I was getting out of the shower that I stubbed my toe or stumbled into something. I can't even remember what I did. But, I did say, "Jesus!" Then, I remembered Mary might be nearby. I was quiet for a few seconds and then asked her, "What did you used to say?" She said, "Zeus". I channel all the time. I think it helps to make me a better channel. Anyway, I was at the White Elephant Sale yesterday in Oakland in the kitchen wares section. In years past I’d picked up interesting coffee mugs, but I was going to steer past that section this time as our cupboard is full to overflowing with mugs. In fact, I’d gotten rid of several of them a few months ago. So, I’m wandering around and the guides urged me toward the coffee cups. I objected noting the full cupboard of cups at home. Nope….another urging toward the coffee cups. Okay, I’m game. I went and poked around a little. Then, getting into the browsing I decided that having a coffee mug with a thin lip to it was a worthwhile search. I found one but it was on a pedestal and it wasn’t as large as my other mugs. When I want a cup of coffee I want a CUP of coffee. I had pretty much looked at all the cups and decided I wasn’t going to find anything and I get another, “Wait, keep looking.” from the guides. 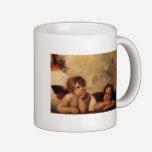 So, I kept looking and found a mug with cherubim on it. I said, “Is this what you wanted me to find?” It was funny.